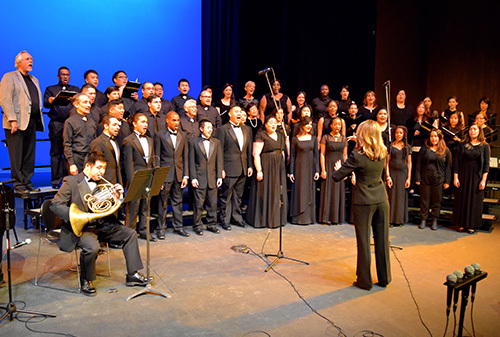 The Contra Costa Singers are the auditioned vocal chamber ensemble at Contra Costa College. 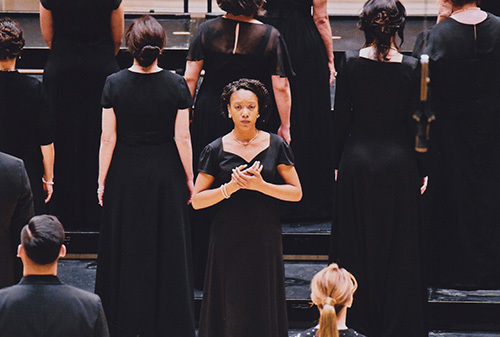 Composed of music majors, the ensemble performs choral masterworks and octavos. 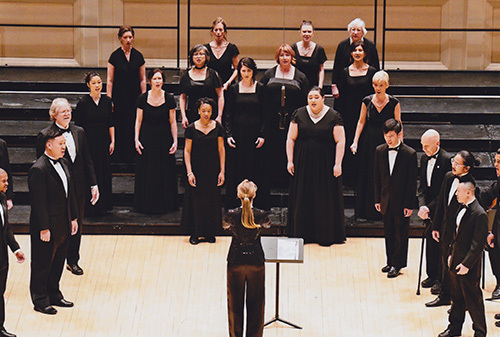 The Contra Costa Singers have performed throughout California, including at the Sierra Choral Festival, St. Mary's Cathedral, Mission San Jose, and the Westin St. Francis, as well as community and college events. The ensemble has collaborated with many esteemed ensembles including the Kensington Symphony, the West County Winds, the Garden Strings, the East Bay Singers, and the Vintage Singers. Designed for music majors, rehearsals focus on the art of choral singing while reinforcing sight-reading and musicianship skills. Rehearsals are Monday and Wednesday, 1:00 - 3:30 PM in M116. For more information, contact Dr. Stephanie Austin Letson. To find out more about Contra Costa Singers Recordings, visit the music school's SoundCloud page.